Hey everyone, Bates Motel S1 was released today (12.23.15) by Breygent / NBCUniversal! 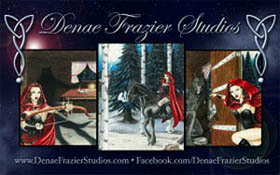 For this set Denae Only did a total of 7 Sketch Art Cards (5 for the set – Extremely Rare) and her 2 Artist Proofs). These 1/1 Original Sketch Art Cards by Denae are 2.5″x3.5″. This entry was posted in art, custom illustration, news and tagged 1/1 Original Sketch Art Cards, AP Sketch Card, Artist Proofs, Bates Motel, Bates Motel Collector Cards, Bates Motel Sketch Art Card, Breygent, Colored Pencils, Dylan Massett, Emma Decody, Freddie Highmore, Max Thieriot, NBC Studios LLC, NBCUniversal, Norma Louise Bates, Norman Bates, Olivia Cooke, Original Art, Sketch Cards, Vera Farmiga. Bookmark the permalink. Trackbacks are closed, but you can post a comment.